Chiltern Railways is to replace the DB Schenker Class 67 locomotives currently in use on its loco-hauled services on the Kidderminster-Birmingham-London Marylebone route. Replacement comes in the form of six brand new Class 68 locomotives. 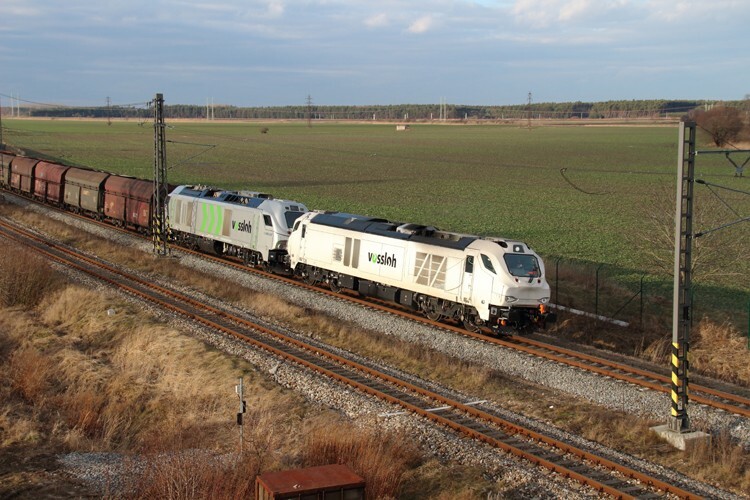 The Vossloh UKLIGHT locomotives will be subleased from Direct Rail Services (DRS) that currently has fifteen units on order through Beacon Rail Leasing. The units involved in the deal are 68010-68015. The first machines should be available for driver training in the Autumn of 2014, while the first scheduled services are planned for December 2014. Regular maintenance is to be performed at Chiltern's own facilities in Wembly and Stourbridge, heavy maintenance at DRS' own depots at Carlisle Kingmoor or Crewe Cresty Bridge.